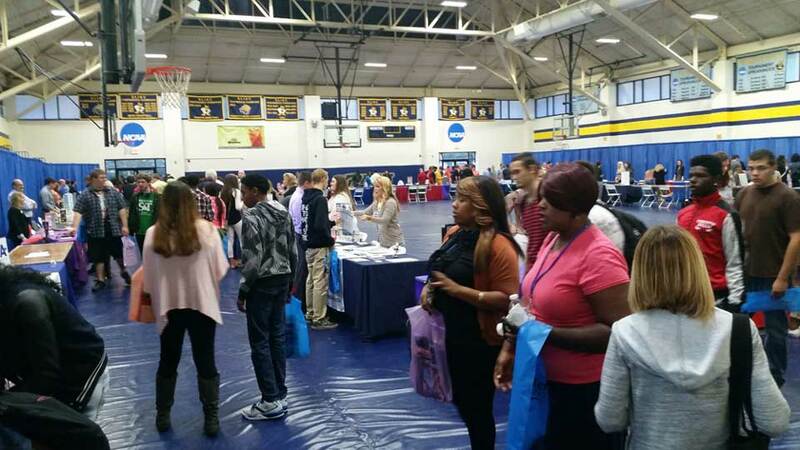 On Sept. 22, Webster hosted a successful college fair at the home campus' Grant Gym, in conjunction with the Missouri Association for College Admission Counseling (MOACAC) and five area high schools: Affton, Bayless, Maplewood-Richmond Heights, Brentwood and Hancock. The event drew over 350 high school juniors to explore over 60 institutions of higher education. Webster also offered two presentations on how students can launch a successful college search, hosted by John Massena, director of Undergraduate Admissions. The Office of Admission extends its appreciation to all who assisted in making this a productive opportunity for area high school students. 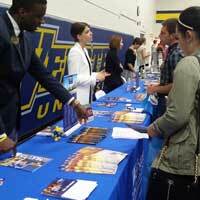 The MOACAC College Fair drew over 350 high school juniors who were exploring higher education options.